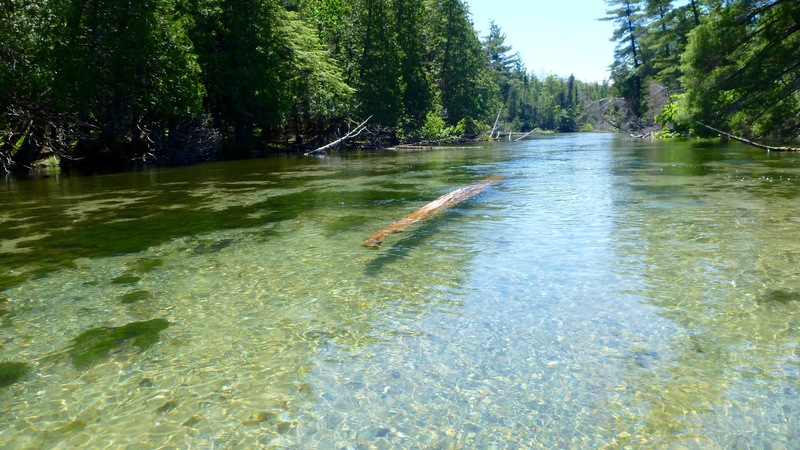 Crystal River in Glen Arbor in Sleeping Bear Dunes National Lakeshore. These are examples of reviews we’ve received. Our guided tours, Crystal River kayak-shuttle service, and kayak & paddle board rentals have been extremely popular. We always strive to provide 5-Star level service. These reviews were originally posted here or on Yelp, TripAdvisor, Google, or Facebook. Jeff, Owner, All About Water. We had a wonderful time today! Saw lots of birds, and dolphins! The drop off and pick-up is so smooth and convenient; great idea! I have kayaked many times over the past ten years. Am in my late 60's/retired and VERY active. My aunt, who is 80 and also VERY active and has kayaked before, and I wanted to take two friends kayaking. They had NEVER gone kayaking before and were a bit apprehensive. Long story short: THE 4 OF US HAD THE BEST TIME EVER ON THE IMPERIAL RIVER.!! We parked our car at the lot; Jeff met us at 9:00 a.m.; he "vanned" us to the top of the Imperial River. He explained everything to us on the way (was Sooo nice!). The river was shallow and meandering for the first 2 miles ------ just right for first-timers. At one point, we got out to move our kayaks off of some shallow mossy rocks. (The water was up to our calves. Ha!) No big deal! The top half of the river is canopied with trees/plants and we saw many species of birds. There were home/patios that we never expected to see along the river. All so very beautiful. The river widened for the final 2 miles. We arrived to our destination (car lot) around 12:30...... got our kayaks/paddles on shore as Jeff instructed us. Rented the Kayak's while in Florida with my family. Not only did he deliver the Kayak's as promised, but early and didn't charge us. As it was an extremely windy day we returned to shore early and Jeff notified us that he received all the equipment so it wasn't on the back our mind wondering if we did everything correctly. Even with the crappy weather, we had the most amazing experience on the waters and even had dolphins swimming along side of us. Would definitely do it again and maybe even do a river trip next time I am in town. Jeff provided us with an outstanding experience kayaking down the Imperial River. We appreciated his insightful instructions and we knew what to expect as we traveled down the river and never felt lost or insecure. The laminated guide cards were extremely helpful to tell us how far along the route we were. The trip was reminiscent of 'old Florida' and the river is unlike any river I have paddled. 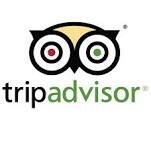 I highly recommend taking this trip and Jeff goes above and beyond to make the day comfortable, memorable and easy. Hi my name is Christina if your reading this than you are wondering about experience well it was perfect not only going down imperial river was an adventure and magical.I was so blessed to to meet Jeff he really knows his stuff and I felt safe he have me a bridge map coolest think ever Eddie from 602 had the best time caught like 5 fish and 2 catfish. And it was amazing!!! Listen if you want to have a amazing memory that you will never forget go with Jeff because I know I will never forget that day blessing to all that finds Jeff ? Excellent experience. Jeff was very helpful and offered a few tips to make our day more enjoyable. Highly recommended. Great experience! Jeff's instructions were perfect for beginners and his knowledge of the river was excellent and the highlight notes he gave us let us know right where we were in the trip. Thanks to Jeff for making the reservation process so simple and efficient. We wanted to arrange for our 18 year old grandson and his friend to have an afternoon kayaking on the Imperial river and found Jeff's sight online. Jeff met the boys at the Imperial River Boat Launch and transported them to their start point. They had a wonderful time! The weather was perfect and they even saw dolphin along the way. I can't wait to sign my grandaughter and her friend up when they visit. I would recommend this to anyone looking for a great experience. I had a great experience with "all about water " kayak rentals! Everything was simple,easy and quick! I love when people understand and makes life easier. Thank you! I had a great time with my friends kayaking and trying the paddleboard as well. What a great idea to incorporate the two. Jeff was great - he met us there and set us up and gave us a quick tutorial before we went out. made us feel very comfortable as we were not experienced. Very convenient location and lots of places to go around the bay in calmer waters. I will definitely call Jeff again next year. Great value for our experience. Thanks again. Excellent customer service!! Thanks Jeff! We could not have been happier with the whole experience - renting kayaks from Jeff at All About Water. He was warm/friendly and professional. He provided everything we needed for a relaxing, memorable Valentines Day treat-kayaking along the Imperial River in Bonita Springs, Fl. We had a fantastic trip. When searching the net for a place to Kayak we came across All About Water and read about the drop off service with your car waiting and we were sold. The trip from the top of the Imperial river to Hwy 41 was like traveling through time. The ancient cypress at the beginning to the human habitats towards the end. Lets do it again! Would highly recommend to paddlers of any ability. Jeff was very knowledgable and the entire operation was very well run. They make things as easy as possible, without doing the actual paddling! Thanks for a wonderful day on the water. Our All About Water tour was amazing! It truly was one of the best experiences I have had in Leelanau county. There were 12 people in our group and 5 guides. Each of the guides added something special to the tour - they were all well trained, enthusiastic, and professional. We left Bar Lake and went to Pierce Stocking where we climbed the dune and swam....beautiful. I felt safe at all times. A nice change from river kayak trips with too many (often drunk) tubers. I will certainly do this again. There is no disputing Lake Michigan is a wonder to behold. But take a kayak trip on the big lake and you experience the beauty up close and personal. The guides are fantastic, the views are unmatched, the equipment is all top notch. You may even see a bald eagle - so go!!!!! I was hesitant paddling in the big lake by myself. Jeff makes sure the weather conditions are right and his trained team made me feel at ease so I could enjoy the ride and the views! I felt like I was kayaking with old friends. They also had great tips for comfort & safety. I'll do this again! I've rented a kayak from Jeff two years in a row and I'm very pleased with the service and convenience. We go to a secluded beach not far from cedar mi and get the kayak delivered there. I order it up online and he text me when it's there. When done I pack up the life vest and lock the bag that stores these items (takes two minutes)and leave the kayak in the same spot, text Jeff and he comes to pick it up. This is a great laid back approach to renting a kayak and I enjoy how easy it is. Makes my day at the beach even more enjoyable! We rented a tandem kayak in Northern Michigan over the 4th of July weekend this year, pretty much last minute. No problem for AllAboutWaterUSA: they did an excellent job and provided 6-star service in my opinion! The owner Jeff consulted with us to learn more about our needs and expectations, then recommended a few scenic locations off the beaten track and explained his service and the ordering process. It was a breeze to order online and even to process payment on my mobile phone from our remote campground location after our conversation. Delivery & pickup worked out great, too. And indeed, even on the busiest weekend of the season Jeff managed to put us in a spot where we had the entire lake for us alone! Going onto the water where YOU want instead of where the next busy rental place is - for us definitely a USP! All in all a great experience; we will rent with AllAboutWaterUSA again, that is for sure! Thanks again! Had a wonderful time kayaking and paddle boarding in April. Jeff was great. Actually got to meet him when he was dropping off kayaks. Kayaks were ready to go at designate time. Jeff was able to make great suggestions for our day long rental. Price was right and equipment in perfect condition. Being able to "pick" our location to paddle was a huge plus. Would definitely recommend to others. Thanks Jeff! renting from here was so convenient and affordable. Ca't wait to go again. Next time: paddle boarding! I booked five kayaks for my friends and I. We were mostly beginners so Jeff suggested we go to New Pass Bridge, Estero. The kayaks were delivered and ready to go when we arrived. Jeff was very accommodating and friendly. Everything was perfect from the initial phone call to the text message sent thanking us for using All About Water. I would not hesitate to rent from All About Water again. Wonderful people with excellent service. Had a wonderful time kayaking. Everything about our experience with All About Water was wonderful, from the suggestions Jeff made about which kayaks to use to the location we should launch from. His detailed instructions for the registration process and kayak delivery and return process were very detailed and helpful and made for an enjoyable, stress free morning. Can't wait to use All About Water services again. Thank you for a wonderful time. What a perfect day! My nieces where visiting me from up north and wanted to go kayaking. So I logged on line to find a great place to take the girls. I left a message and Jeff called me back ASAP. He was able to set us up near New Pass Bridge, In Estero Bay. He was very knowledgeable and helpful. Everything was perfect just like he said. Thanks Again. I was completely shocked that All About Water was not only reasonably priced, but delivered to a specific location! Communication with Jeff was great and we will definitely rent again! Kayaks were almost brand new and very well equipped. Great day on the water! All About Water provided our group of 10 with top quality kayaks, delivered to a convenient site. Jeff was great to work with. He made sure the whole process was easy and went smoothly. Our group made up of beginners and experienced kayakers all had a great day.and were most impressed with this company. We will definitely work with them again. My 6 year old daughter and I went kayaking recently in April. Jeff was very helpful in selecting the best kayaks (we booked a child sized Banzai and a Peekaboo for me). He was nice enough to meet me at the drop location to reassure me about the tide water direction and where to venture since I was unfamiliar with the area and this was my daughter's first time on her own kayak. The tether rope between our kayaks worked very well. We saw dolphins and a manatee! Thanks for making my daughter's first kayak adventure so fun Jeff!